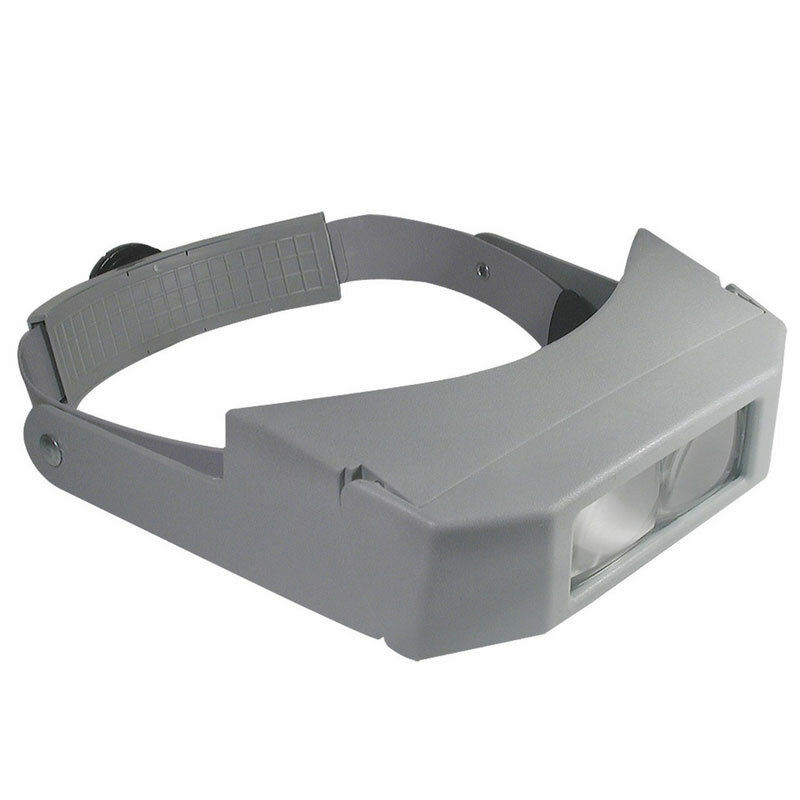 This Magnifocuser has a working distance of 20 in, allowing for comfortable hands-free magnification. With a power of 1.5x, viewing fine print or small items is much easier and will result in less eyestrain. Slips over head and eyes with an adjustable band. Magnifocuser has a shatter resistant, optical quality acrylic lens. The lens flips out of the way when not in use, so you don't have to take the Magnifocuser off until you're finished with it. The forehead portion of the band is cushioned for long-wearing comfort. May be worn over glasses. Great for all types of handiwork and hobbies.